On Wednesday, October 18, 2017 the CHS Collegiate Chapter hosted CHS Global President Cheryl Boyer ’87 for a Coffee Chat. 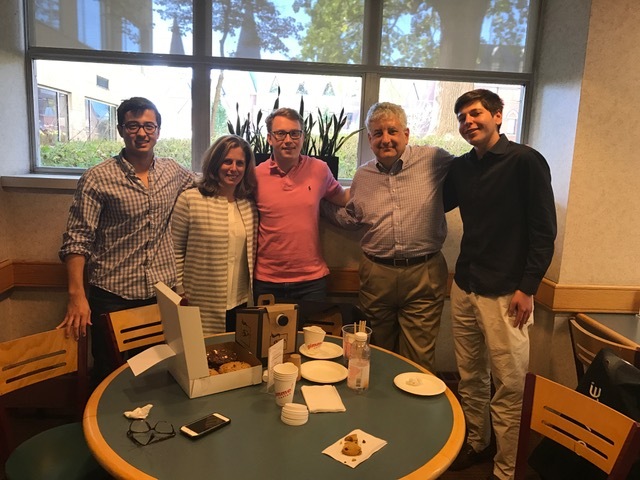 Joining Cheryl was Robert Mandelbaum ’81, along with current CHS-CC board members Andre Guacelli ’19, Eric Reuben ’19, and Bryan Lustig ’18. In addition to discussing career opportunities in the hospitality industry, the group celebrated the highly successful “Conversations with Alumni” project. Please use the following link to learn more: https://cornellhotelsociety.com/conversations/.